Inside this ultimate visual companion to the making of the second film in C.S. Lewis's beloved Narnia series, discover lavish photos and behind the scenes stories that give you a front-row seat of how the movie magic is made. Find out how the screenplay adaptors and storyboard artists brought C.S. Lewis's story to graphic life, how director Andrew Adamson's screenplay differs from Lewis's original story, and reunite with the four stars from the first film. 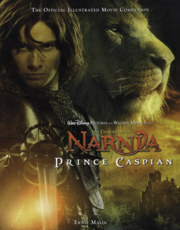 With profiles of the new cast, including Ben Barnes, who plays Prince Caspian, this riveting book will also provide details of the mind-blowing special effects, costumes, intricate weaponry, and incredible makeup artistry that brought this soon-to-be-classic movie to life.